Ella Rhodes reports from the Fourth International Congress of Coaching Psychology, 11–12 December 2014, London. The Fourth International Congress of Coaching Psychology, organised by the BPS Special Group in Coaching Psychology, drew in an enthusiastic audience from 23 different countries to scores of inspirational talks and practical workshops. The diverse range of topics across 10 streams and two days comprehensively covered many areas of the discipline, including sports coaching, psychometric testing and even the taboo. One highlight from the first day of the conference, in the ‘taboo’ stream, was Dr Henry Ford, speaking about his work teaching mindfulness to executives in the City. Ford has worked for 25 years coaching and mentoring on Wall Street and in the City, within investment and commercial banking and private equity. He spoke about his practice of yoga and vegetarianism, an unusual and taboo lifestyle choice in the executive world. Ford said that following the credit crunch he was given the chance to formalise his coaching and bring the benefits of mindfulness to people in London. He outlined some of the research into the benefits of mindfulness and the biology and neuroscience behind the human stress response. The problems his City clients suffer are mainly issues with work–life balance and stress, and Ford gave some examples of the kinds of techniques he teaches: as well as ‘mindful minutes’ he asks clients to sit in front of their e-mail and scan the names in their inboxes, being aware of the physical effect that each name has on them. Whistleblower Helen Stratton appeared in a moving conversation with Neil Tomalin, discussing the difficulties employees face when confronted with situations that go against their personal values. Dr Stratton worked at Bristol Royal Infirmary counselling parents of babies and children who faced heart surgery. She found out that the death rates of these young patients were higher at Bristol than elsewhere in the UK. She and her colleague, anaesthetist Dr Stephen Bolsin, compiled an audit of success rates, which eventually led to one of the biggest surgical scandals in the history of the NHS. Subsequently James Wisheart, the surgeon at the centre of the scandal, was struck off along with hospital manager Dr John Roylance. When asked why some people do not speak out, Stratton replied: ‘My father was a barrister, and we were brought up arguing that black was white.’ When asked what she had learned she said that she was aware that people could not leave their jobs because of every ethical dilemma they face: however, she could not ignore her own values. Heffernan then asked what physical things could explain why we miss pitfalls or wrongdoing in organisations. She outlined the case of Warren Briggs, who worked at a refinery in BP. He was working one day in 2005 for the 30th day in a row, on 12-hour shifts, in a control room in front of 24 screens. On this occasion an alarm began sounding but Mr Briggs was unable to stop it and consequently there was an explosion that killed 15 people, injuring 100. Heffernan said the site where Mr Briggs worked was known to be dangerous, with a high mortality rate, Mr Briggs himself was hugely sleep-deprived, and with more to focus on than human attention can handle. Heffernan concluded her talk by saying that in a crisis many businesses ‘double down’ and reinforce their existing biases (such as top executives being white British), therefore maintaining the status quo… they would do well to be more open to questions and creative conflict. Day two of the congress saw several interesting talks on the international picture of coaching. Speaking about the emergence of the discipline in Japan was Dr Etsuyo Nishigaki (Kansai Medical University). She said in 1999 motor manufacturer Nissan began to reform the company by introducing coaching as a management technique. In the present day there are now 40 coaching training schools in Japan, with many dealing with communication skills as their main concern. Nishigaki’s research has looked into the reality of coaches in the country; with colleagues she surveyed 478 Japanese and Chinese coaches and found that, of these, 20 per cent had never had any formal coach training. Evidence-based coaching had not yet been fully introduced in Japan, with many coaching textbooks and works coming in from other countries (the first Japanese-language coaching psychology book was due to be published next year). Nishigaki concluded with cultural issues surrounding coaching in the country, such as an emphasis on seniority: there may be issues with a young person coaching an older client. Director of the Cambridge University Psychometrics Centre John Rust, gave the second, thought-provoking keynote speech of the congress, on the psychometric testing of digital footprints using social media. Professor Rust began by outlining the history of testing and the pitfalls of each type of test. For example, the introduction of examinations led to discrimination, IQ or mental tests led to scientific racism, and the use of social networks has the downfall of mirroring Big Brother. Rust went on to outline some of the work done with social media data. He said that our online digital footprint can be used to track human behaviour, in the likes we make on Facebook, the links we click on and even the words in our status updates and tweets. Psychologists now have many millions of data points to use. Rust outlined the use of data from a Facebook app that went viral in 2007, a personality test that collected data from six million people over two years. One of his own studies looked into 700,000 people who had carried out these tests and found a correlation between personality traits and likes on Facebook. Rust said they were looking at whether a personality could be predicted from these likes and found that some traits could be predicted with 95 per cent accuracy. He also showed some more recent work looking at whether the words used in Facebook status updates could predict introversion and extraversion, and said there was a great degree of similarity between people with those shared personality traits. Rust said that this sort of data is not only useful in marketing but can also help predict whether people are at risk of depression or dangerous behaviours such as terrorism or cyber crime. He said that much of this information could be useful in the context of coaching, both aiding people to overcome addictive behaviours, identifying those at risk of mental health problems, as well as helping people to manage their own online presence and digital footprint. As well as the many enlightening talks taking place at this year’s congress, there were also practical workshops held to give coaches new ideas for their own practices. Among them was Almuth McDowell (City University London and Birkbeck University of London) who presented her methods using a feed forward interview with a micro-intervention to increase psychological capital. 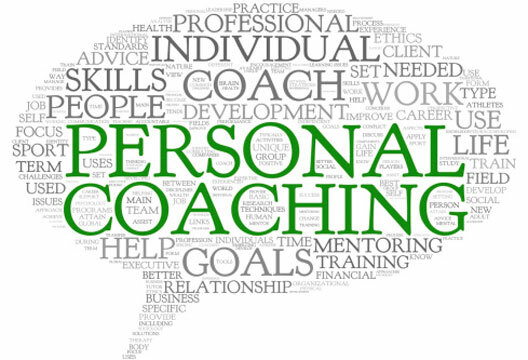 In this approach clients are asked to tell the coach a positive story from their life in much detail, focusing on the event, the people involved and the feelings associated with it and then combining these positive feelings with future plans to build on their psychological capital – increasing self-efficacy, optimism, hope and resiliency. Dr McDowall said following the use of this positive story it is then possible to use a micro-intervention, where a client is asked to think about a goal they wish to achieve and visualise it. Subsequently they are asked to physically draw different pathways to achieving this goal, noting down any obstacles they may encounter along the way. I The Special Group in Coaching Psychology has a number of upcoming workshops next year with discounted rates for group members; these include Dr Sue Roffey’s positive psychology and authentic well-being on 30 March, and essential neurolinguistic skills for coaching psychologists with Dr Rene Bosman on 27 May. See also our dip into the archive to mark 10 years of coaching psychology.